When the water heater goes out, everyone is going to suffer. Daily activities that you used to take for granted, such as cleaning the house and even taking a shower, will not be miserable thanks to having cold water spout out at you. Once the water heater stops working, it is important to get a professional over to do water heater repair as soon as possible to avoid further damage and to get the water supply back up and running. 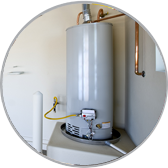 If you have an old tank water heater, you may find that the professional will request that you get a water heater replacement that will save you a lot of money in the long run. The old tank water heaters have been around for a long time, but they are really an inefficient way to heat up water and many families are opting for other options in order to keep the hot water coming and to save them money. These water heaters operate by using a large drum in your home that will hold all the water. The drum will fill up with water and then slowly heat up, holding the water there until you use it up. Once the drum is empty, you will have to wait for it to refill and heat up before you get the water again. This is incredibly inefficient and could be costing you hundreds of dollars each year while also taking up a lot of space in your home. A Queen Creek, AZ Tankless Water Heater is much better. It takes up just a limited amount of space in the home, helps to heat up the water in just a few seconds, and can save you a lot of money on your utility bill every month.